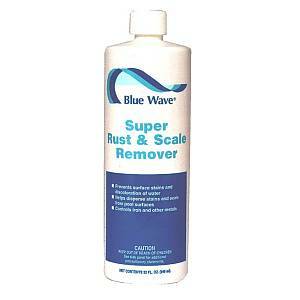 Super Rust & Scale Remover / 4 x 1qt. NY180-4 Super Rust and Scale Remover to combat discolored water and stains in swimming pools. Iron, copper, manganese and cobalt are metals, which commonly cause colored water and/or stains in pools. These metals often enter the water through fill water. 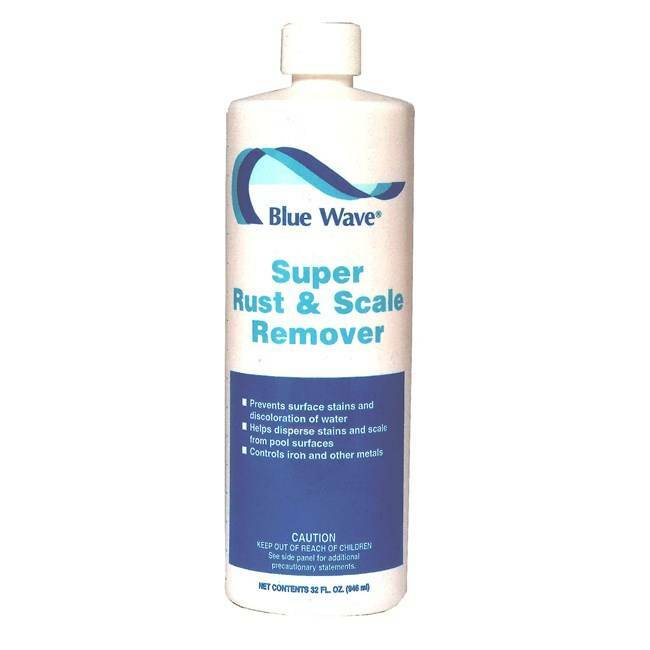 Use Blue Wave�s stain and mineral products regularly to remove existing stains and prevent the formation of new stains. Buy 4 Quarts and Save! Ideal for areas with excessive metal and mineral problems (i.e. well water). Maintenance dosage: 5 oz. per 15,000 gallons.